Chef Greg Christian is an industry-recognized thought leader in sustainable food practices and healthy eating. He is available to speak and publish on a range of topics to help improve the quality and sustainability of our food system, including menu development, zero-waste institutional kitchens, cost-effective sourcing, and implementing change in foodservice environments. Greg Christian is author of the Grow. Teach. Feed as well as 9-Minute Nutrition Ninja curriculums. 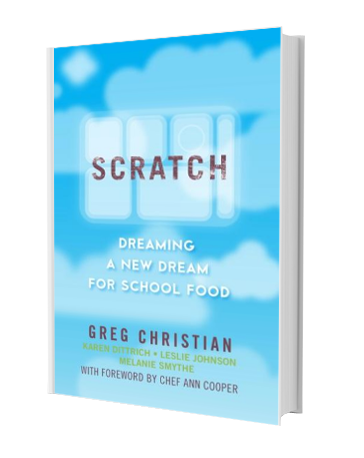 In Fall 2017, Christian published Scratch: Dreaming a New Dream for School Food.